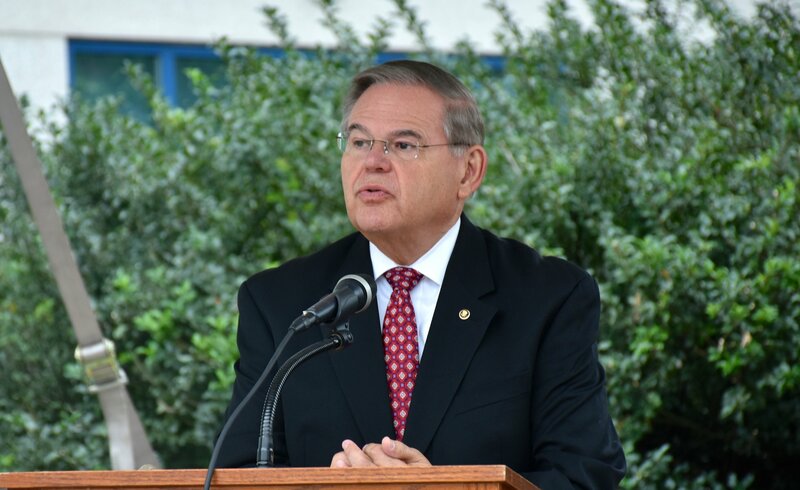 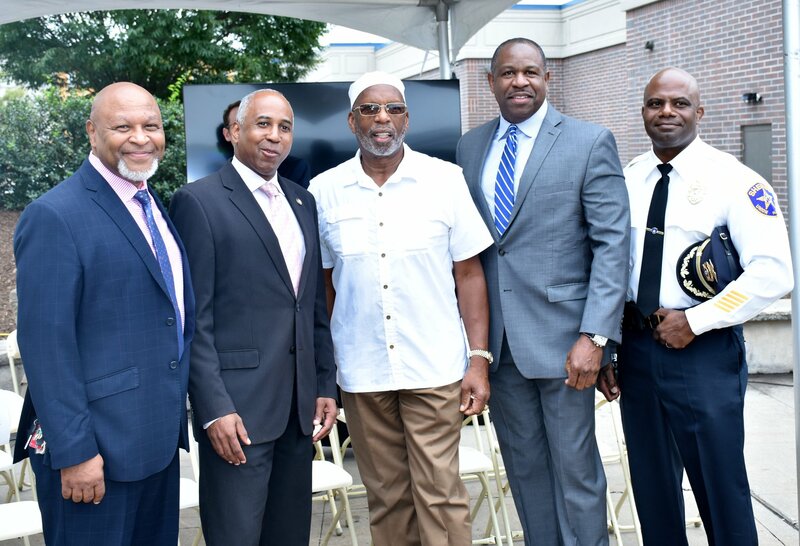 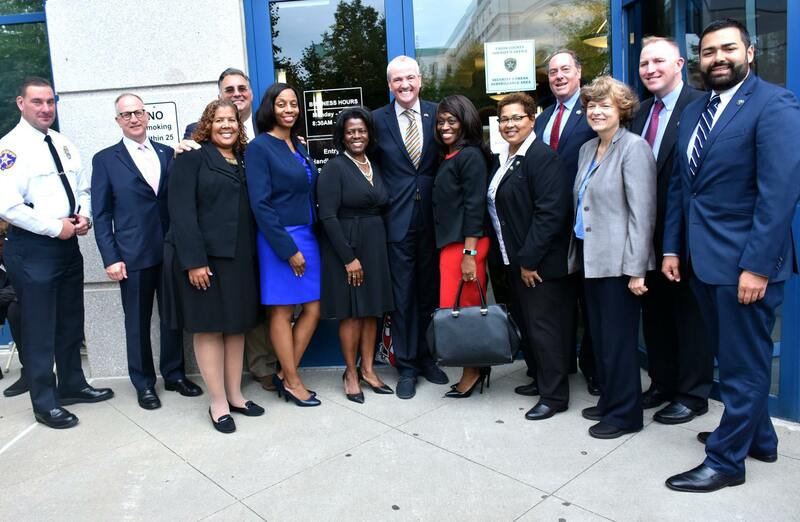 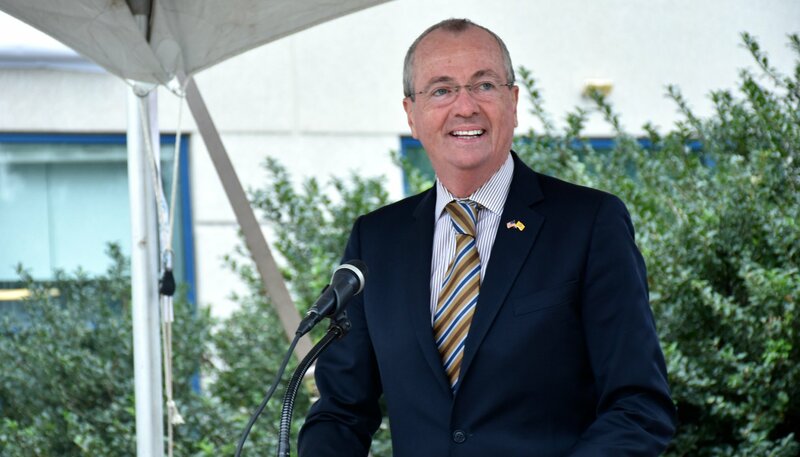 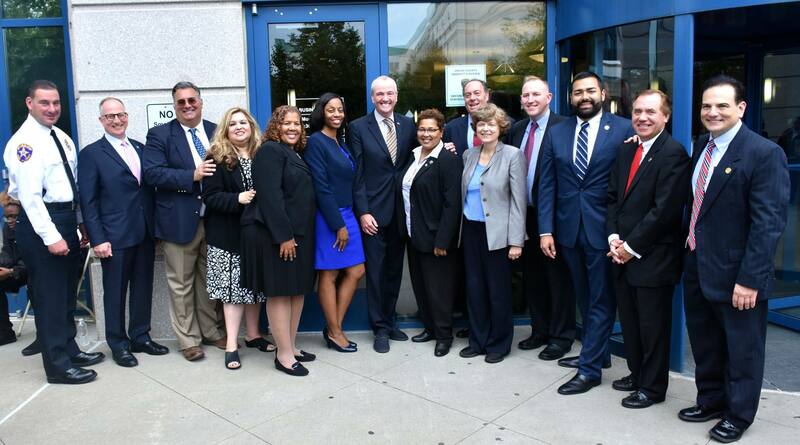 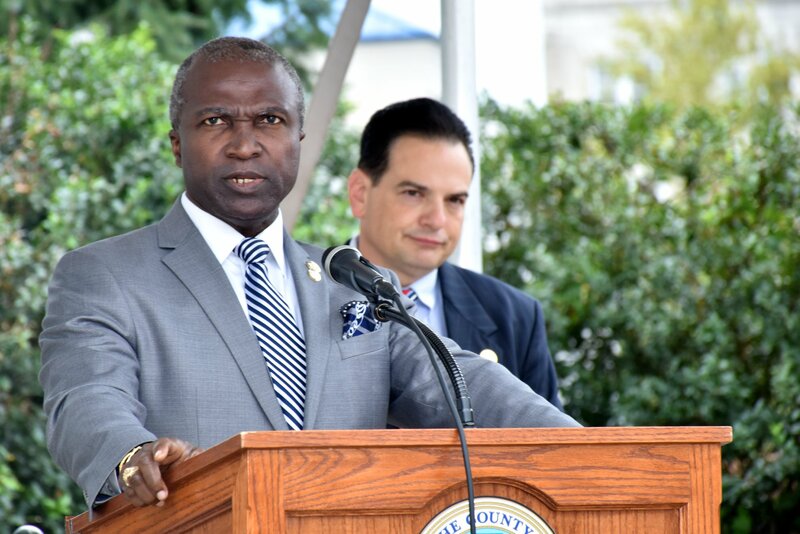 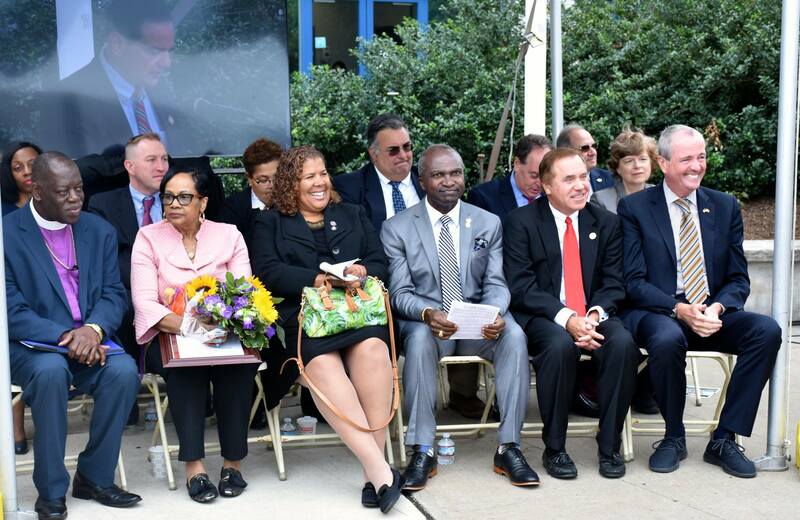 The Union County Board of Chosen Freeholders and the Union County Improvement Authority joined with Federal, State and local officials, including Governor Phil Murphy in officially dedicating the former Park Madison government complex as the Assemblyman Gerald B. 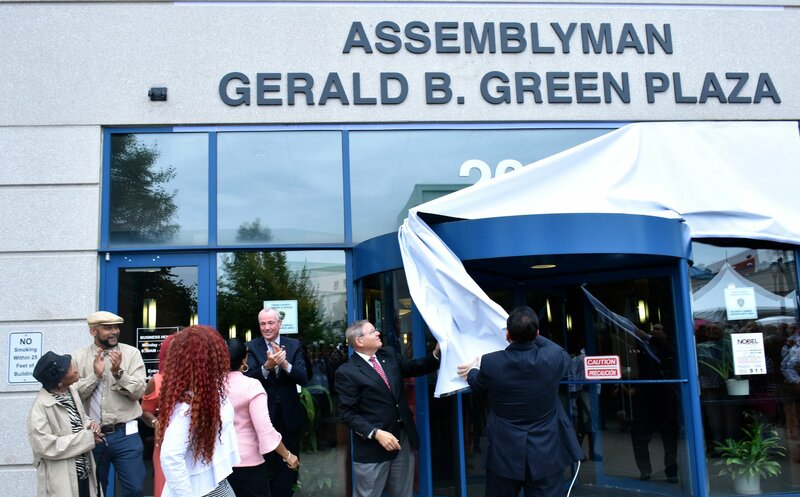 Green Plaza in honor of the late Plainfield resident. 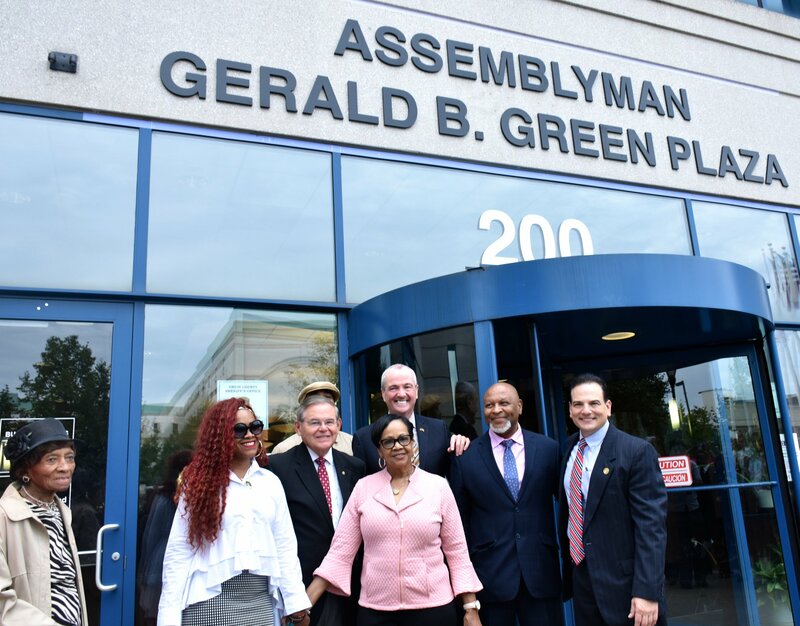 Green served 27 years as one of Union County’s most popular and enduring elected officials in the State Assembly for the 22nd district. 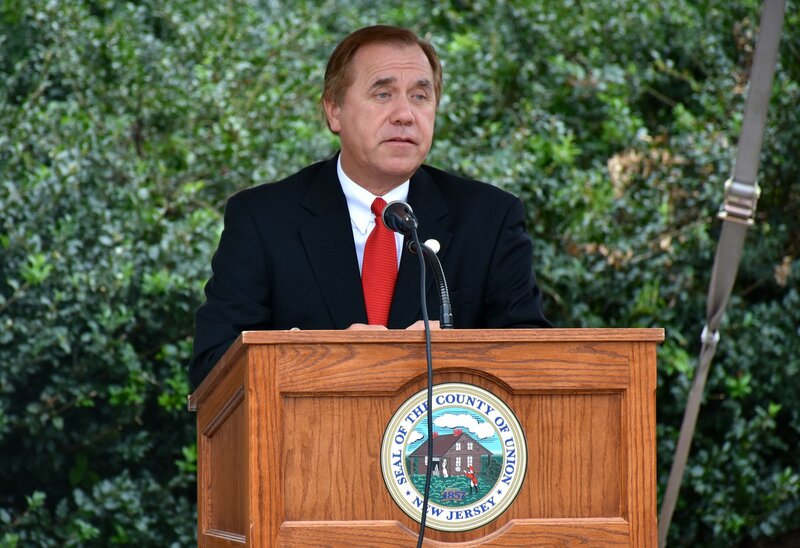 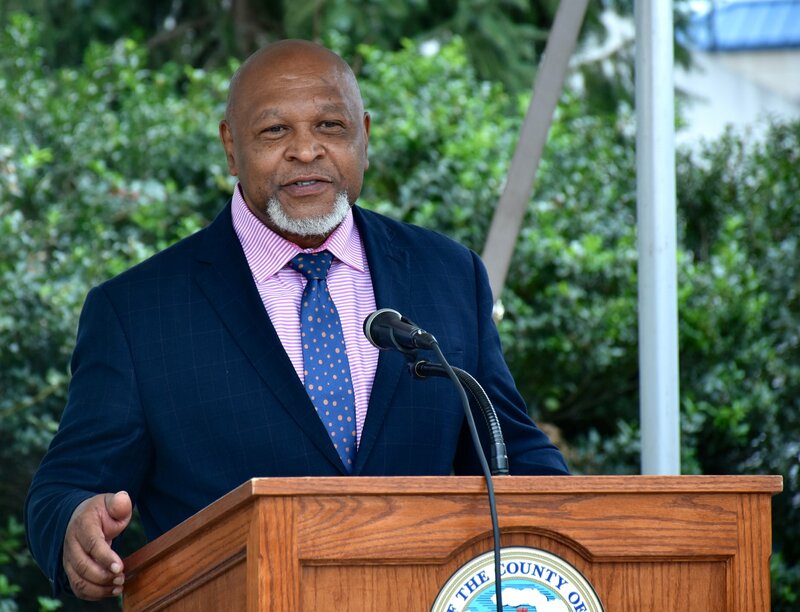 He championed the creation of the complex in 2004, which includes County social services, State job training services and private businesses, serving as an anchor for revitalization in Plainfield’s Downtown. 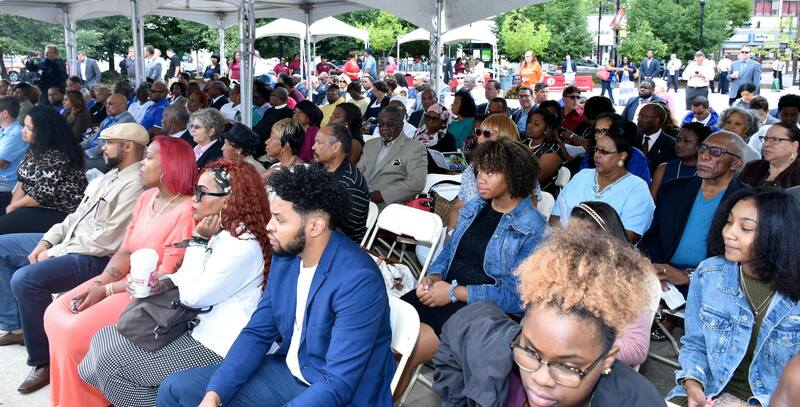 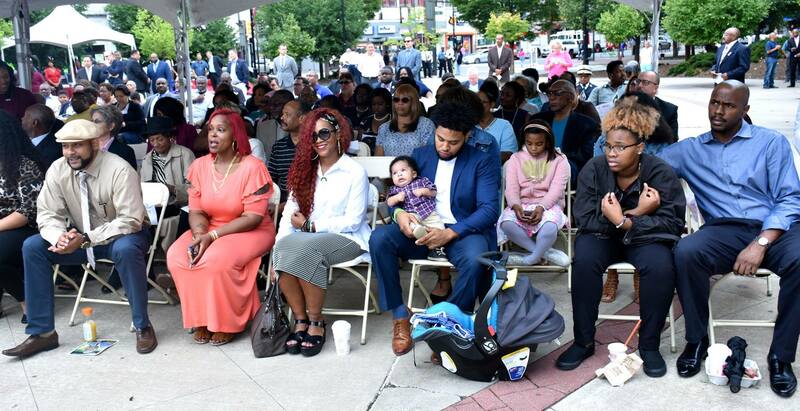 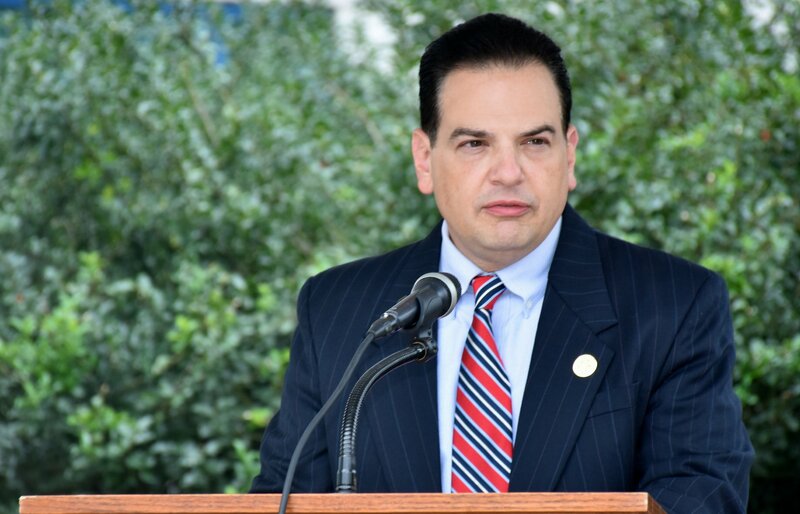 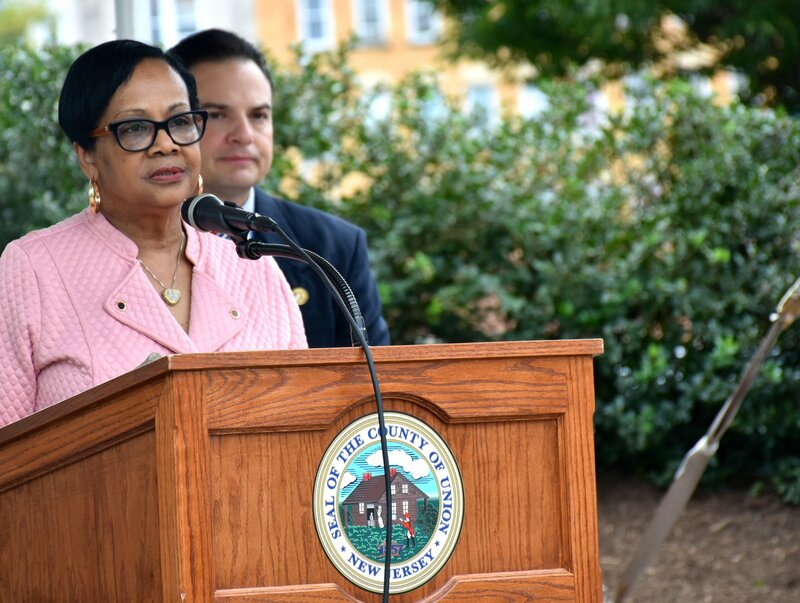 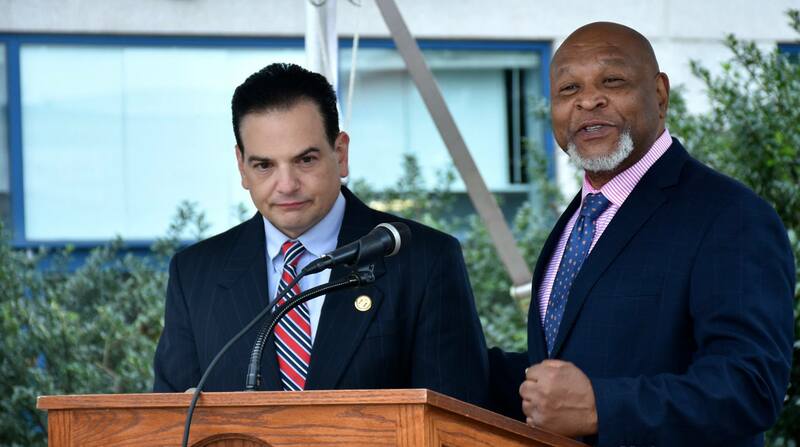 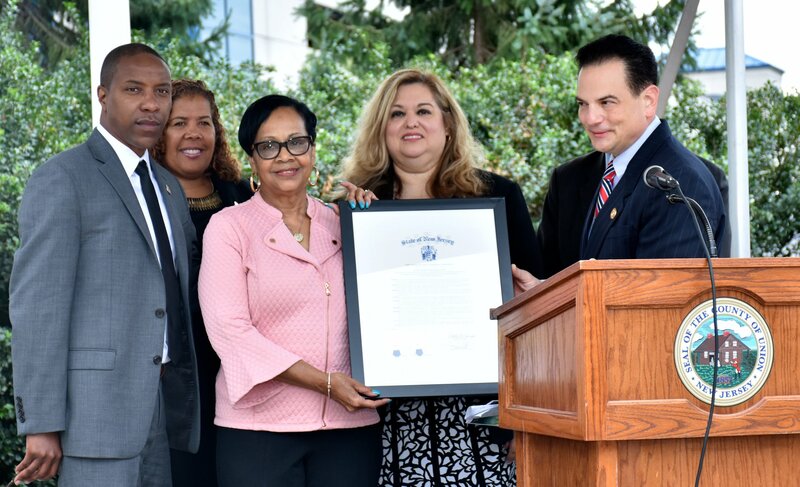 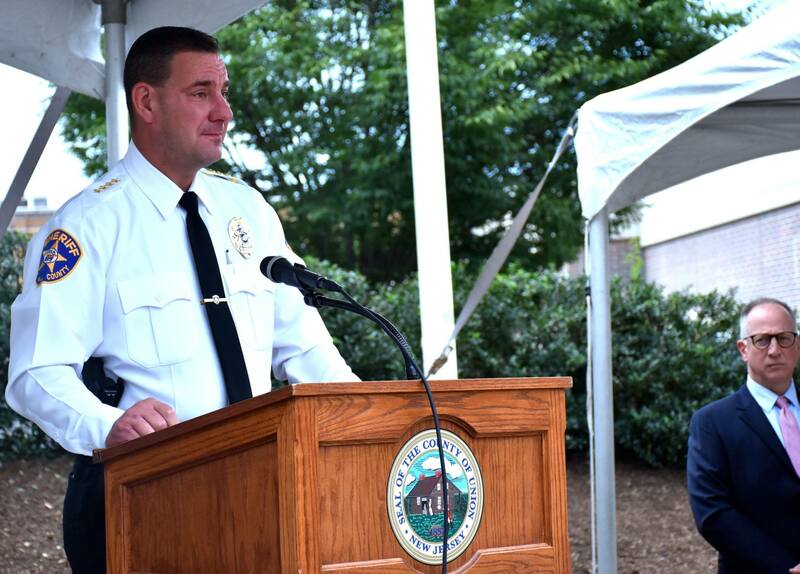 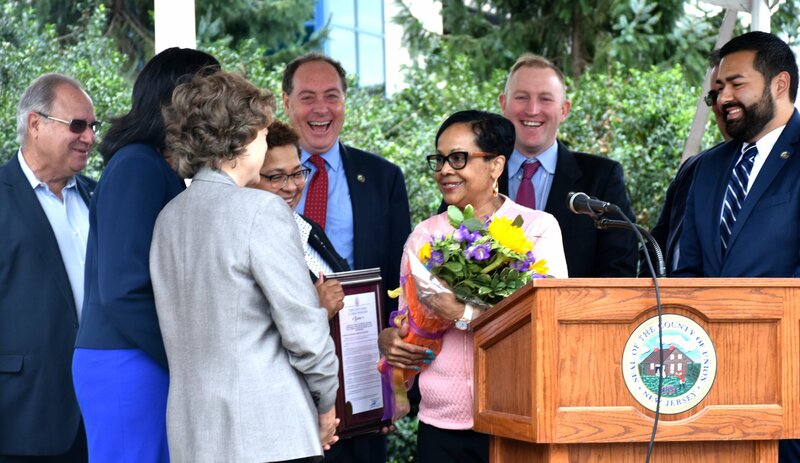 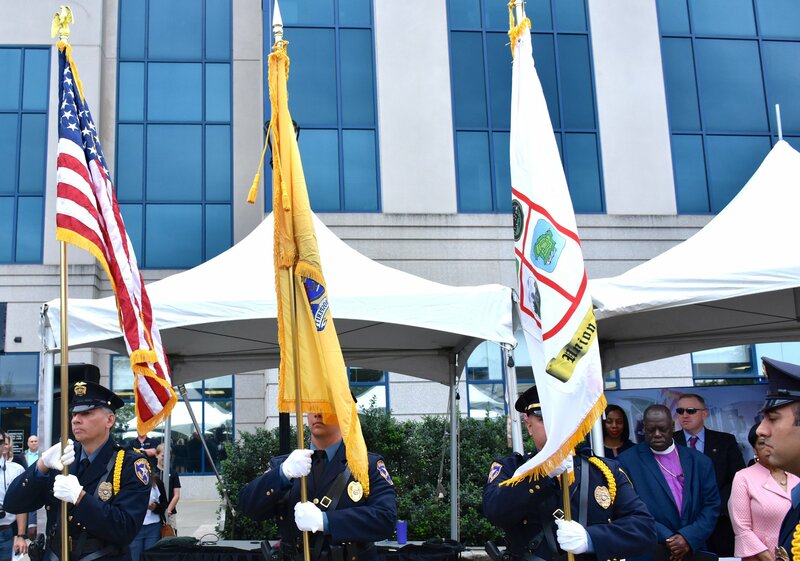 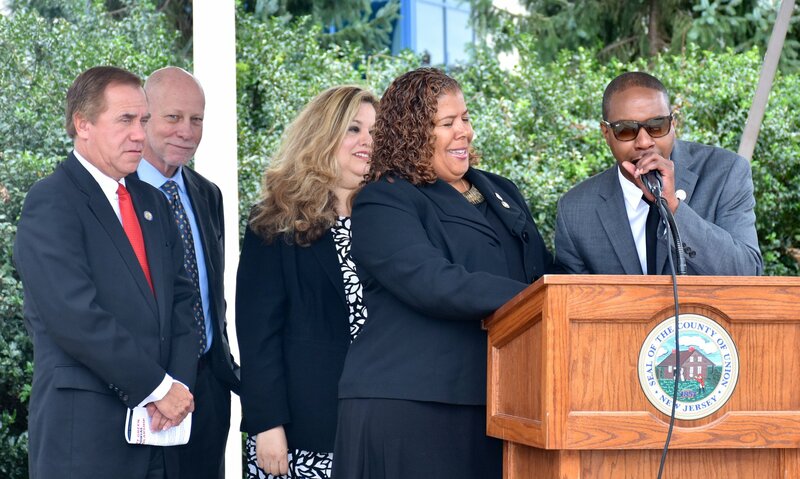 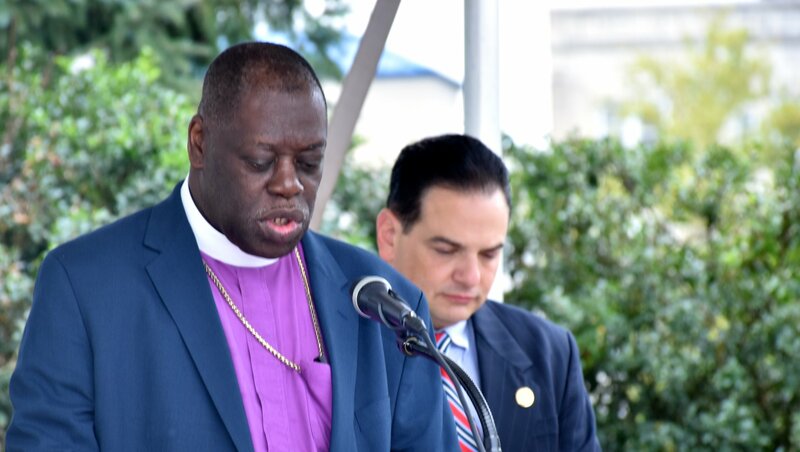 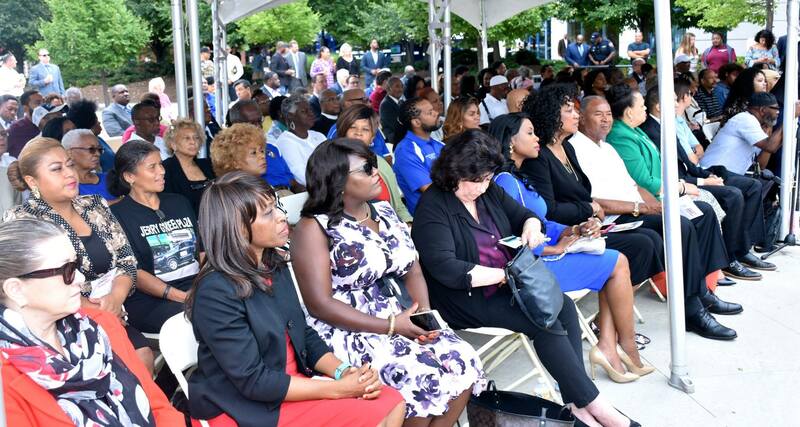 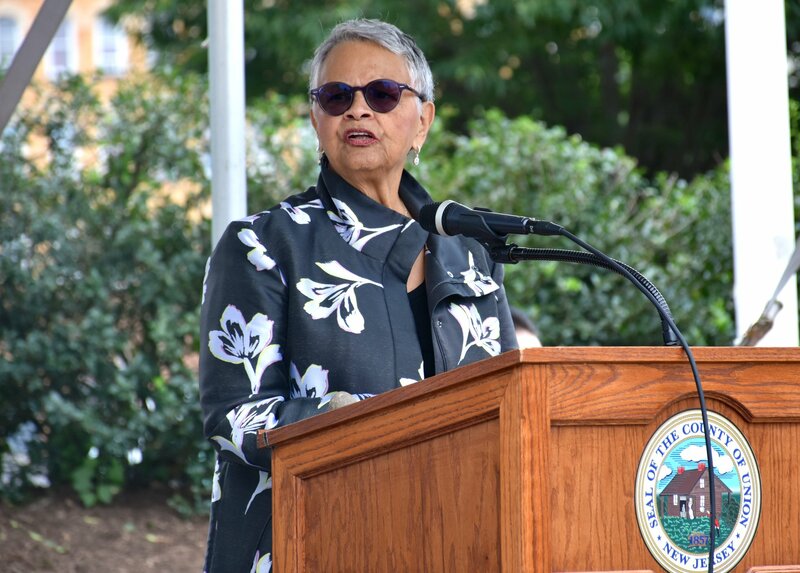 Green’s widow, Wanda, and brother Sheldon spoke at the ceremony, which was emceed by Green’s legislative running mate, State Senator Nicholas P. Scutari (D-22), and included tributes from Freeholder Chairman Sergio Granados, U.S. 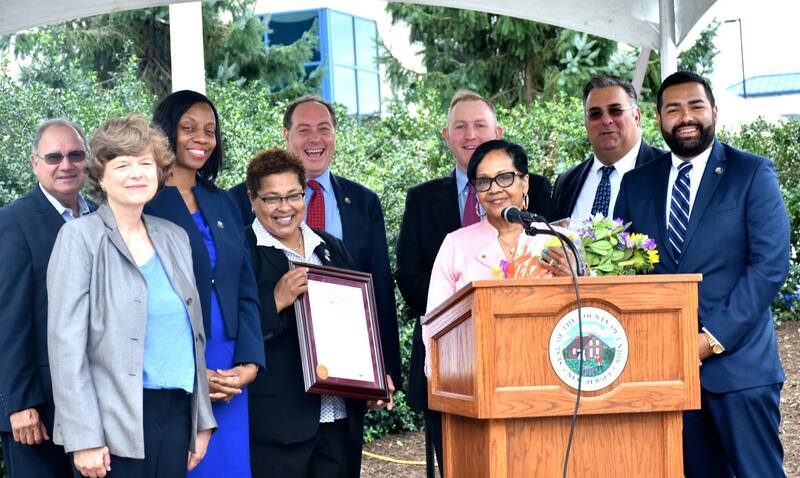 Senator Robert Menendez, Plainfield Mayor Adrian Mapp, Assemblywoman Linda Carter, Congresswoman Bonnie Watson Coleman, and Assembly Speaker Craig Coughlin.